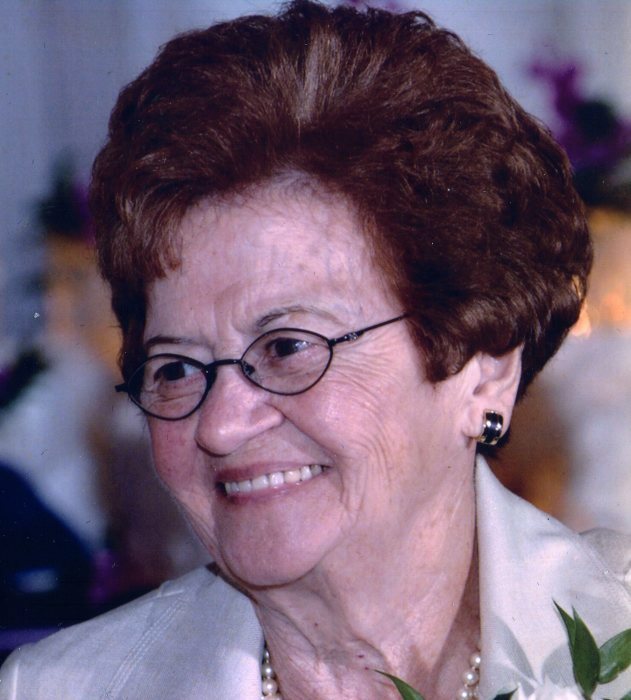 Veronica L. (Severin) Kubany, formerly of Natrona Heights died two days after her 102nd birthday at Concordia Lutheran Ministries in Cabot on Saturday, June 30, 2018. She was born June 28, 1916, in Natrona to the late Joseph and Veronica Musko Severin and was a lifelong resident of the local area. She graduated from the former Har-Brack High School and worked in Washington, DC before the war. Veronica married Walter M. Kubany on April 12, 1943. Together they raised five children before Walter's death in 1984. Veronica's primary goal in life was to educate all her children and saw to college degrees for each of them. She loved crossword puzzles and sports, cooking and gardening and passed her skills along to her children. Her undying love for the family lives on. Veronica is survived by her children, Glenn (Sandy), of Olney, MD, Greg, of Fremont, NH, Gayle (David) Hartzell, of Cabot and Linda (Jim) Duvall, of Arlington VA; daughter-in-law, Sandy Kubany, of Orlando, FL; grandchildren, Michael Kubany, David Kubany, Kristina Quayle and Karin Crabtree; as well as 5 great grandchildren; sister, Pauline Rusiewicz; and numerous nieces and nephews. In addition to her parents, she was preceded in death by her husband, Walter, her oldest son, Walter Paul on August 2, 2017; brothers, Joseph, Thomas and Paul Severin; and by her sisters, Katherine Micholas and Mary Severin. Words are not sufficient to express the gratitude that her family has for the staff at Concordia. The compassion, love and care she received was beyond measure and is deeply cherished and remembered. They are truly angels among us. There will be no public visitation. Relatives and friends are invited to attend a Mass of Christian Burial on Thursday at 10 AM in Most Blessed Sacrament Church, 800 Montana Avenue, Natrona Heights. She will be laid to rest alongside her husband in Our Lady of Hope Cemetery, Frazer Township. Arrangements are under the care of the Cicholski-Zidek Funeral Home, Inc., Natrona Heights 724-224-8688. In lieu of flowers, contributions in memory of Veronica may be made to Our Lady of the Most Blessed Sacrament R.C. Parish, 1526 Union Ave., Natrona Heights, Pa. 15065 or to Concordia Lutheran Ministries, 134 Marwood Rd., Cabot, Pa. 16023. To send an on line condolence please visit www.cicholski-zidekfh.com.